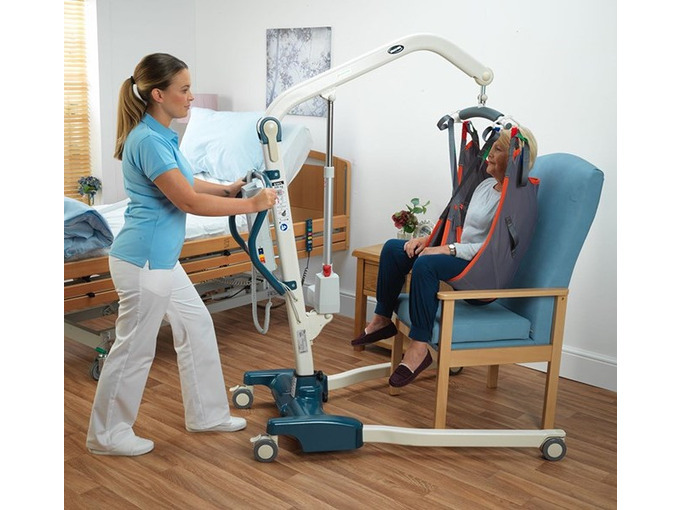 The Jasmine Mobile Hoist is an exceptional patient hoist that is fitted with a wide-opening base which allows easy access for wheelchair and armchairs, whilst its high lifting mechanism is essential for transfers to and from elevated surfaces. With the latest control box technology, the Jasmine Mobile Hoist provides an extremely comfortable and dignified transfer with its 'soft start' and 'soft stop' functions. The highly intelligent control box also has a diagnostic system which has a service lifetime monitoring system that highlights the battery status and service condition of the actuator to ensure safe patient handling. 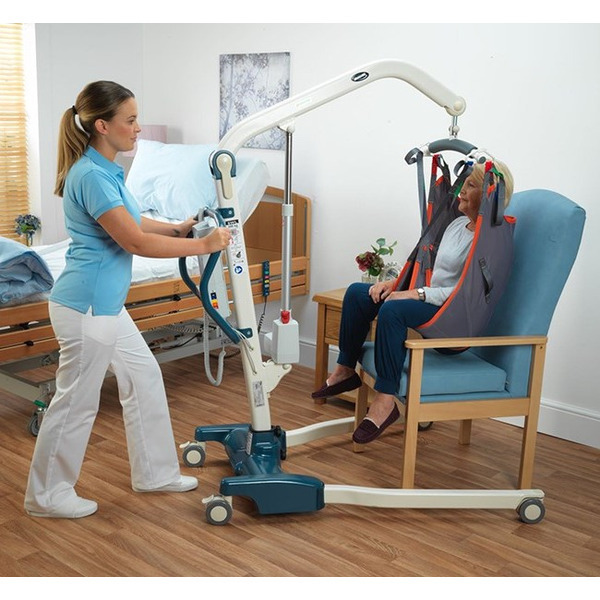 Suitable for use by a wide range of patients this highly versatile mobile hoist has a safe working load of up to 32 stone (200 kgs). To provide exceptional levels of security and safety during lifts the Jasmine Mobile Hoist is fitted with rear braked castors. This Invacare Jasmine Mobile Hoist is fitted with a conventional hook and loop spreader bar.